multitude of shape, texture and color are suspended inside these two wall art panels. The distressed, antique finish adds to their rustic vibe. 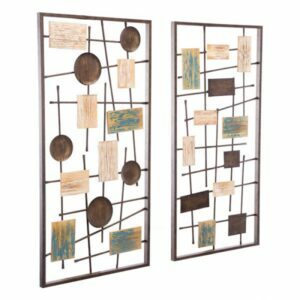 Place the pair in an entryway or living room.